Do you have questions? Please ask, we are always ready to assist you. Home buyers can call us at the number above, or just fill out the Quick Call Form on this page. Question: L. Keaton – San Antonio, TX: What jumbo financing option will make the most sense for me? the single loan or combo loan option? Answer: The correct loan structure will depend on many different factors like loan amount, property state, down payment and credit profile. There can be pros and cons with each option. For instance – the combo loan option is good because the first mortgage can be at the maximum conforming loan limit for your county. This is favorable because the conventional mortgage interest rates are typically less when compared to Jumbo rates. However, one of the advantages of a single loan structure is the there is only one loan, and lower overall closing costs because of that. Please contact us to discuss your situation in detail. Question: D. Henderson- Ventura, California: is the only advantage of choosing an 80-10 loan to avoid PMI? Answer: Actually many of the single 90% and 95% Jumbo loans don’t require mortgage insurance as well. Question: F. Weller – Irvine, CA: How long does the closing process take with Jumbo loans? Answer: The Jumbo closing times are much the same as other loan programs like Conventional and FHA. Buyers should leave about 30 days for closing to ensure there is enough time for appraisal, inspections, etc. Question: G. Sanchez – Indianapolis, Indiana: Is there any penalty if I pay off my loan in a certain time? Answer: No prepayment penalties with the Jumbo loans. You can sell your home and/or pay off the mortgage at any time. Question: E. Richardson – Austin, TX: How much can I borrow with only 5 percent down payment? Answer: Approved buyers can finance 95% up to $2,000,000 loan amounts. 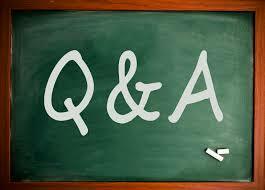 Question: Y. Daniel – Chicago, IL: My husband and I are looking to purchase a vacation home in Naples, Florida. How much of a down payment would we need for this? Answer: The exact down payment will depend on your loan amount. Under $2,000,000 will require a min 5% down payment. From $2,000,000 – $2,450,000 would require 10-15% down payment. Question: C. Raleigh – Nashville, TN: Are there any advantages when choosing a fix rate or ARM? Answer: Adjustable rate mortgages typically have lower interest rates. However, they lack the security of a fix rate loan. Read more about Jumbo fix rate or ARM here. Question: T. Gibson – New Orleans, LA: How long does it take to get qualified? Answer: The Jumbo loan pre-qualification process is generally completed the same day. This is where the loan specialist checks credit, debts, income and debt ratios. This is all based on the information provided by the home buyer. As for a full loan pre-approval – this generally takes 24-48 hours. During this process, all the buyer’s income and assets documents are formally verified by the loan underwriter. Home buyers that would like to get started can call the number above, or just fill out the quick call form to speak to a loan specialist now.